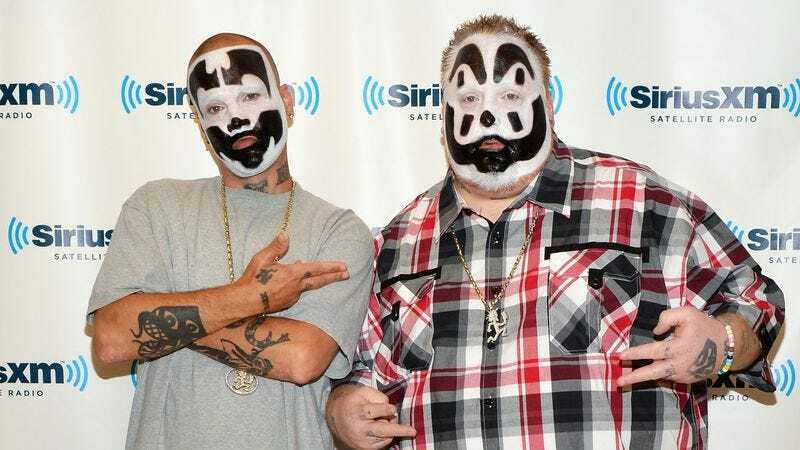 In October, Insane Clown Posse’s Violent J announced that he and “the Juggalo family” were planning a march in Washington D.C. to protest the Department Of Justice classifying the Juggalo community as a “hybrid-gang” in 2014. The protest was penciled in for September 16, 2017, and now that we’re only a few months from that date, the Insane Clown Posse has put together a surprisingly thorough and professional-looking website and manifesto that lay out the message and goals that these angry clowns want to draw awareness to. That is the date we need YOU in Washington, D.C. We need you and your voice to make sure that we shout above the chaos of this noisy world and are heard loudly and clearly as we deliver a message right into the nerve center of America that the Juggalo Family is not a joke, punchline, or any form of criminal organization. This is our chance to make a difference. A real difference. To show the world that we will we not tolerate anymore discrimination against our Juggalo brothers and sisters. If being a Juggalo has made a difference in your life, we beseech you to be a part of the important critical day in Juggalo history. That is the day we rise up. That is the day we unite to clear our name. That is the day we march. There will also be a free concert after the march featuring a bunch of Juggalo-friendly artists, and the organizers are also planning to invite “several mainstream artists and celebrities” who have the respect of the Juggalo community. For people who may be reluctant to embrace the cause, the website even includes a bunch of testimonials from Juggalos who say their lives were negatively impacted simply because they like Insane Clown Posse’s music, and not just because they suddenly found themselves drinking a lot of Faygo and wearing more clown makeup than they used to. Apparently, a lot of people in this country have lost jobs or been labeled as gang members because they like ICP, and whether or not you’re personally down with the clown, that doesn’t seem like the sort of thing that should happen. Also, this all may seem a little silly in the wake of the massive Women’s March On Washington event, but if the Insane Clown Posse has taught us anything, it’s that sometimes the silliest things can still be taken seriously.